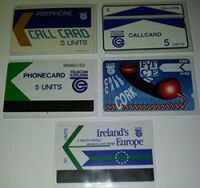 Telecom Eireann first introduced phonecards into the Republic of Ireland in the year 1988. 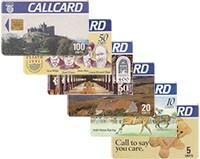 The brand name chosen for these cards was “CallCard”. Telecom Eireann, Ireland's state-owned telecommunications company became privatized in 1999. Subsequently the name of the company was changed to Eircom. 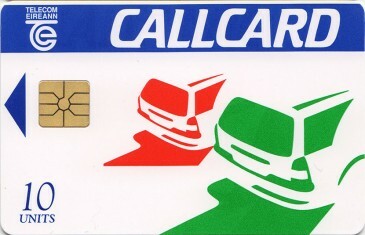 When the three Callcard trials ended, Telecom Eireann chose to use chip based smart cards for their phonecard product instead. The smart card, invented by French engineer Roland Moreno in 1976 was the most secure, and technologically advanced phonecard system in it's day.